Trump Issues Executive Order Forming "The Comedy Police"
President Trump today went before the cameras in the White House to announce a new police strike force. He claims its main purpose will be to defend him against collusion between the left and SNL. "Today I'm taking action against factions who would make fun of my presidency, when I am clearly the greatest President to have ever livid, I mean lived," said Trump. Trump thanked Kim Jung-un for his advice on how to deal with dissent and organizations like SNL. "Kimmie sent me a beautiful letter, I mean very beautiful letter, describing how his secret police protect him. 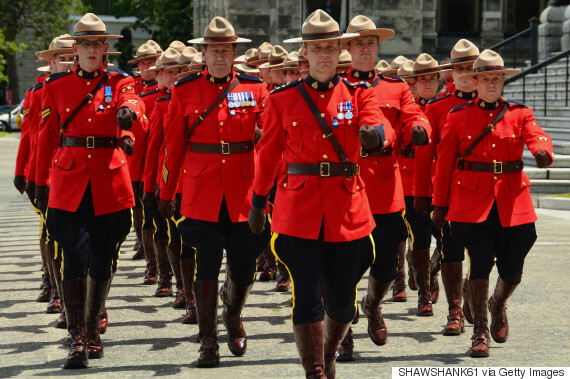 He recommended I get beautiful red uniforms and some of those hats like the Canadian Mounties have." SNL responded to the threat to get tough with them by dressing all of their stars in military uniforms including the elderly Chevy Chase, Eddie Murphy, Dan Akroyd and Lorraine Newman. "This is our army!" yelled Bill Murray, "come and get us TRUMPER!" The troupe is being formed by Trump with an executive order, but Congress has threatened to block its recreation with a vote margin large enough to override any Veto by Trump.